Joseph Godwin is a Management Consultant with F&H Solutions Group. Joe brings more than 25 years of experience in all aspects of human resources, including HR audits, regulatory compliance, and compensation and employee benefits. 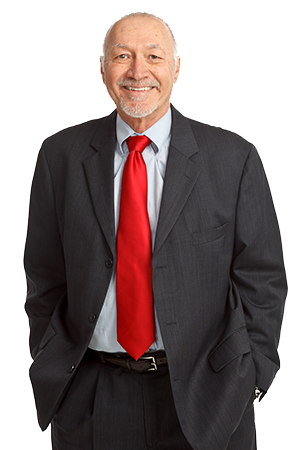 Joe has a primary specialty in the Fair Labor Standards Act (FLSA) and other regulatory compliance issues. His work with all types and sizes of companies in various locations and industries has given him broad experience to help clients face FLSA liabilities and complexities and meet difficult challenges in human resources management. As a human resources consultant, Joe has managed hundreds of FLSA issues for clients by conducting wage and hour investigations, providing litigation support and expert witness testimony and serving as a third-party investigator. He has negotiated settlements in federal and multistate wage and hour claims, and he regularly conducts extensive practice audits for clients regarding job classification, exemptions, overtime and recordkeeping. He is experienced in litigation support in individual employee compensation complaints and in collective and class actions. Joe is a frequent speaker on FLSA compliance topics and is a primary contributor to employer manuals prepared by FordHarrison LLP. Joe also conducts extensive human resources audits for clients that involve a detailed review of human resources practices, policies and processes. He guides clients on organizational and employee relations matters including compensation analysis and employee benefits analysis. He regularly deals with client’s HR issues across all sectors, including large and small private employers, municipalities and governmental units, and not-for-profit organizations. Prior to joining F&H Solutions Group, Joe was a principal in a consulting practice serving national and regional companies on regulatory compliance and compensation issues. He also has held executive positions for national and Fortune 500 companies, with primary responsibility for regulatory compliance and risk management. Joe earned his bachelor of science degree in industrial relations from the University of North Carolina at Chapel Hill. He has extensive continuing education in employment law issues. How Do 'Bathroom Bills' Affect Employers in Arizona? Retaliation Charges on the Rise: How Do You Protect Your Company? Does 'at-will employment' really mean what you think? Good People are Hard to Find – Really? How Can I Win an Unemployment Claim? Fair to Blame Puzder for Franchisee Wage Violations?